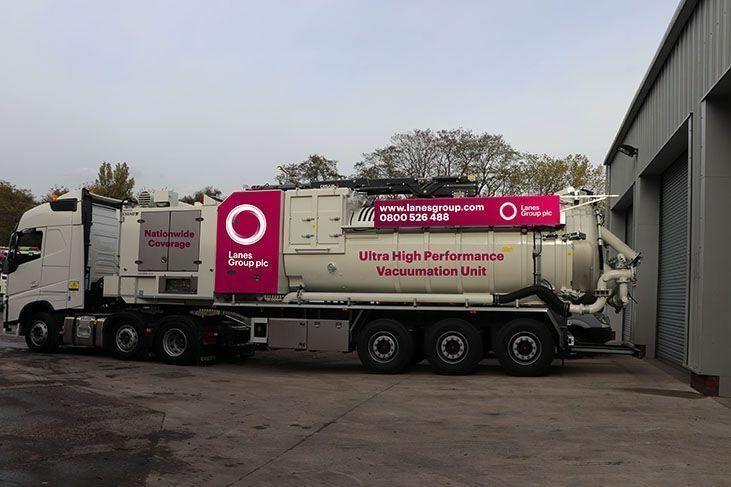 Lanes Group operates an extensive fleet of high-performance tankers that provides customers across all industrial sectors with high-quality, legally compliant tankering services, anywhere in the UK. As a responsible and registered waste management contractor, Lanes collects and disposes of both hazardous and non-hazardous liquid waste, sludge and slurry from a wide variety of sources – including septic tanks, petrol interceptors, drains, sewers, gullies and storage tanks – using only reputable and certified disposal sites. With a network of 24 depots across the country, Lanes can support all tankering needs, from one-off tankering jobs to the most intensive regional and national tankering operations. We operate the latest and most advanced 3,000, 4,000 and 5,000-gallon tankers for removing, transporting and disposing of bulk liquid effluent and sludge waste. Our tanker drivers are highly experienced and fully trained to observe the exacting compliance and safety standards customers expect from Lanes, which holds a RoSPA Gold Medal for occupational health and safety for the 10th consecutive year. To find out more about our full range of domestic and utilities tankering services, contact us today on 0800 526 488, or fill in your details using our online enquiry form. Lanes is dedicated to upholding high standards in the delivery of our tankering and liquid waste management services. Our services cover the removal of all waste, including from septic tanks and interceptors. We can deliver both planned and reactive services, including emergency spill response services that can be deployed rapidly to help prevent and control pollution incidents, and respond effectively to any eventuality. We are able to safely handle the management and disposal of hazardous and non-hazardous waste. Our waste carrier licence is renewed annually, and we are also an approved installer of various wastewater treatment solutions. Our services meet all legislative requirements for waste disposal and tracking. We will handle the preparation of all waste disposal documentation as part of the service. We are a national operation, registered with waste disposal sites across the UK. With our fleet of high-powered jet vac and tanker units and resourceful teams of experienced staff, we can make short work of locating, removing and disposing of waste matter, while taking care of all the required paperwork on your behalf. For more information about the full range of tankering services offered by Lanes Group – including commercial tankering services and utility tankering services – call us on 0800 526 488, or fill in our online enquiry form. Whatever your industry, we can provide planned and reactive tankering that you can trust.